A decade of Valentine’s Day movies: What’s your favorite? I’m off to see “Valentine’s Day” tonight; a rather unimaginatively-named movie designed to fill the traditional Valentine’s Day weekend rom-com slot. (And yes, the trailer is pretty awful, but I’m trying very hard not to hold that against it. We shall see.) Word is today, on the blog Deadline Hollywood, that “Valentine’s Day” is the beginning of a franchise, with a sort-of-sequel called “New Year’s Eve” in the works; the idea being that some of the “V-Day” characters would carry over, and the new movie would introduce even more A-list stars, who are apparently happy to do this sort of movie because it only takes them a few days to shoot. All of this might just lead to other holiday-themed ensemble comedies, like, I guess, “Friday After Thanksgiving” or something, in which a lot of movie stars sit around talking about eating too much turkey. This does not seem like a particularly good idea. Besides, “Groundhog Day” is already taken, and cannot be improved upon. Anyway, this got me thinking about the Hollywood strategy of programming a big romantic comedy to open in theaters on Valentine’s Day weekend, and whether any of them have been any good. Below is a poll listing the V-Day releases for the last decade or so (some years there hasn’t been a rom-com released that weekend, for reasons I cannot begin to imagine); which is your favorite? 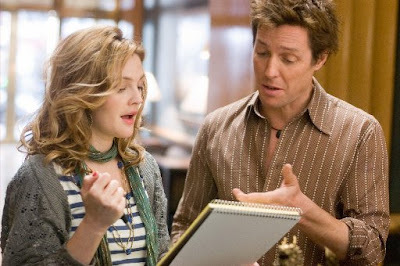 I have to say it’s not a particularly memorable list, but I have quite a bit of fondness for “Music & Lyrics,” just because something kind of magical happens between Drew Barrymore and Hugh Grant. Which is, of course, why we watch rom-coms in the first place.